This entry was posted in Uncategorized and tagged Christmas, Holiday, Tree by christao408. Bookmark the permalink. Mmmm, that baked egg dish looks delicious. Pretty much if it has an egg, I’m gonna be a fan! @Roadlesstaken – Eggs, they do a body good. Merry Xmas!Your pictures look like they’re from a magazine – very nice. It snowed here. It’s cold outside. Yummy breakfast for sure. I will going to my sister’s for brunch. My part will be scones – some with chocolate chips. Merry Christmas! 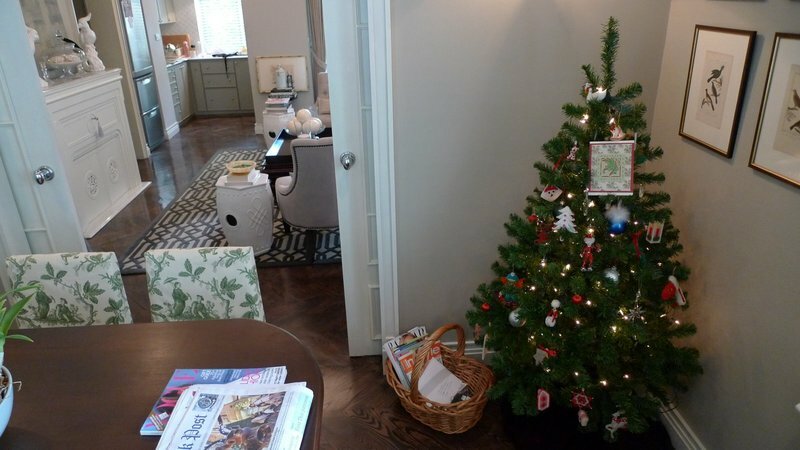 Oh, that’s a cute and simple Christmas tree (the first photo). Merry Christmas to you guys! 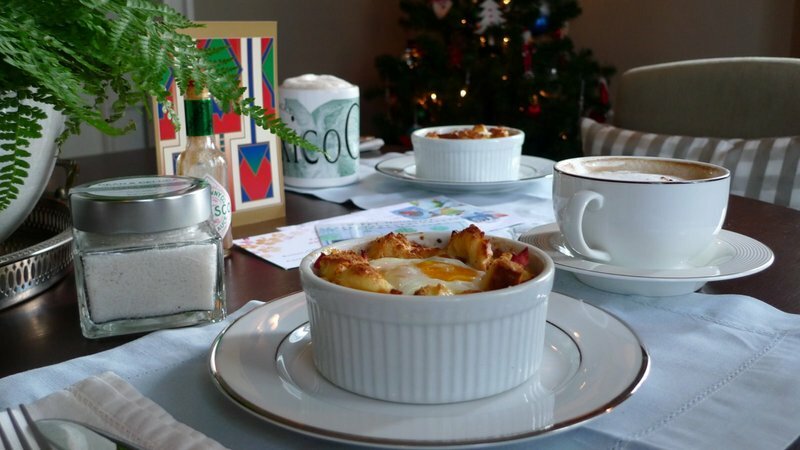 Nice Christmas brunch idea too, with a baked egg on top. Very nice trees! My ornaments contain a few store bought things, but are mostly sentimental treasures. I didn’t put my tree up this year, however. My son lost the key to my storage shed, and I haven’t replaced the lock yet. I’m glad you are having wonderful celebrations! Merry Christmas! That looks so yummy! We have sausage gravy and biscuits every year. But i might do that for New years. thanks for sharing. PS love the real tree. The real tree looks really nice. The breakfask looks warm and yum! Merry Christmas! @Redlegsix – Sorry your Christmas plans got delayed a week, but better to limit the spread of the flu. The pot of beef stew sounds tasty, though! @Chatamanda – You as well, Amanda. @brooklyn2028 – Thank you. 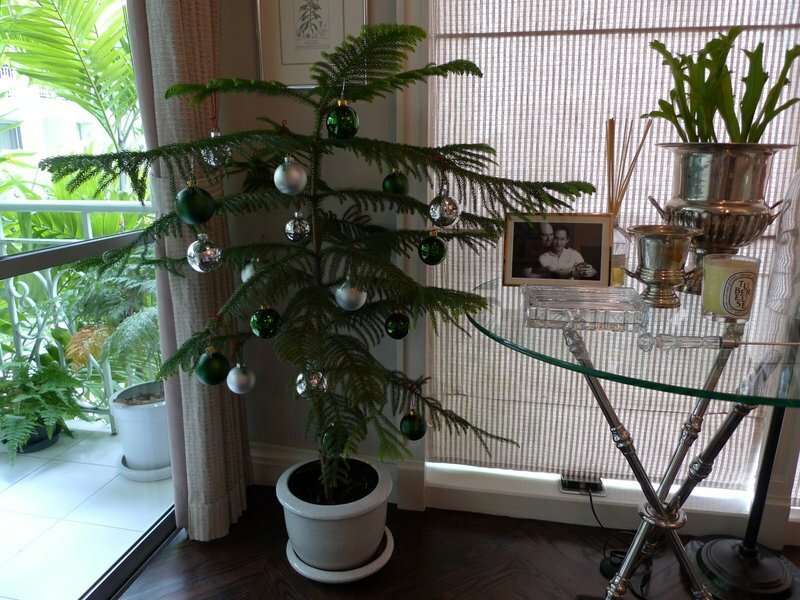 Yes, it is very much a Charlie Brown tree, isn’t it? @yang1815 – Just something simple. We’ll do something nicer for you when you are here. breakfast looks damn good. i kinda crave it right now for late supper. my failed breakfast experiment this morning was a definite far cry from yet another one of your awesome creations. you do so much cooking and blog them that i think your blog should be appropriately called chezchrist instead of christao. @christao408 – No need!!! That looks delish. I can’t help but notice that even your newspaper is nicely folded and there isn’t a single speck of dirt on the floors. It’s interesting that the condo maids moved your tree to the pool deck. I thought they would just leave it alone. But I guess it must have looked kinda scrawny. I hope you and Tawn had a great Xmas. P.S. the egg dish, what’s the proportion of egg and milk? And how much of the egg/milk mixture do you put on the bread? And I’m guessing 350 F? Should the bread be similar in texture to a French toast afterwards? 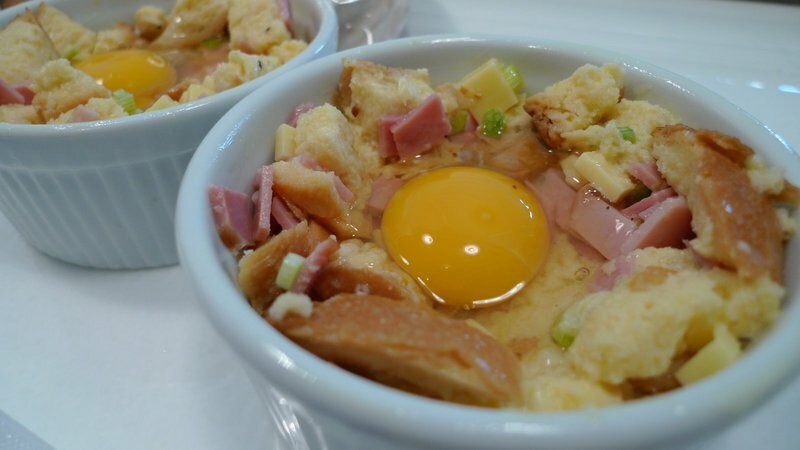 @rudyhou – Oh, I want to see pictures of your breakfast experiment! @ElusiveWords – Would you be able to see a speck of dirt on the floor from so far away? =DAs for the egg dish, I just estimated. About 1 egg and a 1/2 cup milk for about 1 cup of bread. More bread if you want it drier and less if you want it more eggy. fortunately, no pics. let’s just say it was way too sticky and goowy than it was supposed to turn out. i used the wrong kind of flour. NOT my fault.